This is a professional strength chemical peel that acts on the outer cells of your skin, exfoliating away all of the old debris and dead skin cells, and unblocking your pores. The barrier that has been built up on your skin, preventing your skin being properly hydrated and cleansed by your other skincare products is removed, leaving your skin looking and feeling soft, supple and wonderfully clean. Professional strength glycolic acid 30%. Super exfoliates your skin, removing dead skin cells. Unblocks pores and removes blackheads. Removes excess sebum and helps heal mild acne. Helps to improve the hydration of your skin. Reduces fine lines and increases collagen. Helps reduce pigmentation problems and evens skin tone. Made in the USA at an FDA registered facility. High level of quality control. Who will benefit from using this Glycolic Acid 30% Gel Peel? 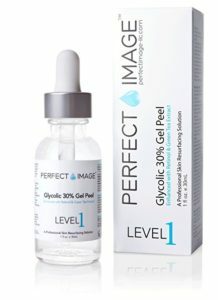 The Perfect Image Glycolic Acid 30% Gel Peel is ideal for people who have noticed a few fine lines or pigmentation problems appearing. It is also useful for anyone with pigmentation problems or blemishes. Anyone who has dull looking, grey or tired skin will most probably find that this has a lot to do with a build up of dead skin cells that block your pores and prevent your moisturizers, serums and other skincare products from penetrating your skin. Once you have removed this barrier, your skin can ‘breath’ again and your moisturizers and serums can start to work better. Just the fact that you have removed this debris from your skin is enough to give it a new lease on life! Just remember that glycolic acid 30% is still a very strong percentage, so if you are at all concerned, discuss their use with your medical practitioner. FYI: Perfect Image consider their glycolic acid 30% peel to be a level 1 peel and suggest that you use this gel peel, before considering anything stronger, such as their glycolic acid 50% peel. This Perfect Image Chemical Gel Peel contains 30% glycolic acid, green tea, chamomile and vitamin A (retinol). It is free from parabens and sulfates, and is available in a 1oz (30ml) dropper bottle. If your skin has a build up of dead cells that block your pores, give you blackheads and mild acne, and make your skin look dull and unhealthy, then glycolic acid is a fabulous ingredient. This is because glycolic acid belongs to the alpha hydroxy acid family (AHA) and with the smallest molecular size, it can easily penetrate into your skin, clearing out all of your blocked pores and excess sebum. Glycolic acid also helps to stimulate the production of collagen, so if you have noticed a loss of definition in your cheeks and along your jawline, this might be of benefit to you. Fine lines can also be minimized using glycolic acid, and overall, your skin is left looking a lot cleaner, healthier and fresher. Too much exposure to UV rays and all of the environmental pollutants we have to deal with everyday, cause our skin to become damaged by free radicals. Green Tea, which is a super strong antioxidant, helps in the fight against these free radicals, reversing a lot of the damaged and the signs of early aging. Green tea also helps to reduce pigmentation problems, such as age spots or sun spots and with its anti-bacterial properties, helps to keep your skin looking clear, smooth and healthy. 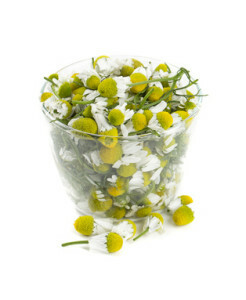 Yet another antioxidant, Chamomile helps to reduce the damage caused to our skin by too much UV exposure, reversing the damage caused by free radicals. It also has anti-bacterial, anti-fungal and anti-inflammatory properties, so it is ideal for people who suffer from mild acne. Vitamin A or Rentinol, as it is often called, is a well-known remedy for acne, as it increases the turnover of skin cells, helping to unblock your pores and reduce the amount of excess sebum on your skin. It is also helpful in reducing fine lines by stimulating cellular repair, and the production of collagen and elastin. The majority of online custom reviews are very positive about the Perfect Image Glycolic Acid 30% Gel Peel. They love that it really reduces small dark patches of pigmentation on their face, cleans out their pores and gives their complexion a much healthier and fresher appearance. This has really changed the texture and quality of my skin. The occurrence of pimples has went down about 80% and I now have ZERO blackheads! Loved the peel. Very gentle with nice smell and texture. I’m definitely going to buy this product again. Within a few weeks my breakouts were almost eliminated and your face feels amazing afterward. The Perfect Image Glycolic Acid 30% with Retinol and Green Tea is a great addition to your beauty routine. This is a fabulous exfoliator, removing all of the excess sebum from your skin, unblocking pores, removing blackheads, getting rid of dead skin cells and stimulating the production of collagen. The antioxidants help to reverse the signs of aging caused by too much exposure to UV rays and environmental pollutants, minimizing small pigmentation problems, smoothing your skin and increasing cellular repair. If your skin is looking dull, tired and grey, the best step is to use an exfoliator to help your skin look clean, healthy and fresh once again. Read more of my glycolic acid reviews, here.